If you’ve looked beyond the headlines of recent cyber-attacks, you might have seen or heard of or about something called “Lazarus” or “The Lazarus Group”. Here’s a quick rundown of everything you need to know about them, or at least what we know about them based on publicly released research by cybersecurity giants McAfee, Symantec and Kaspersky. The Lazarus Group are a group of cyber-criminals that some security experts believe are native to, or at-least based out of, North Korea. Some organizations have even taken this a step further and accused the group of being a state-backed one. However, others are more skeptical about this detail. What have they been responsible for? 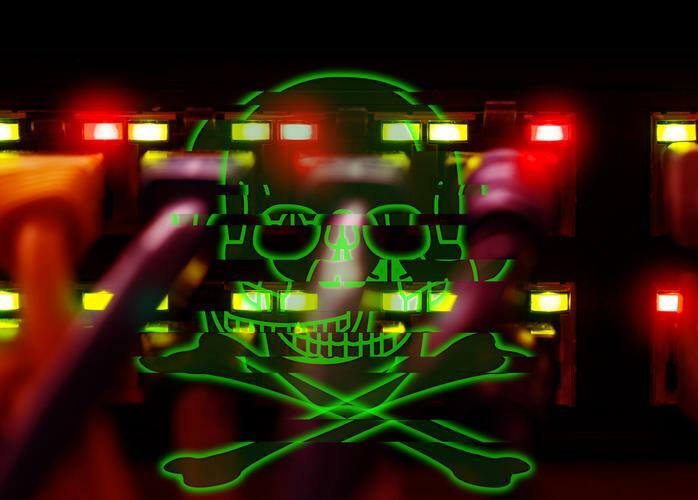 The Lazarus Group have been responsible for some of the biggest cyberattacks in recent history. 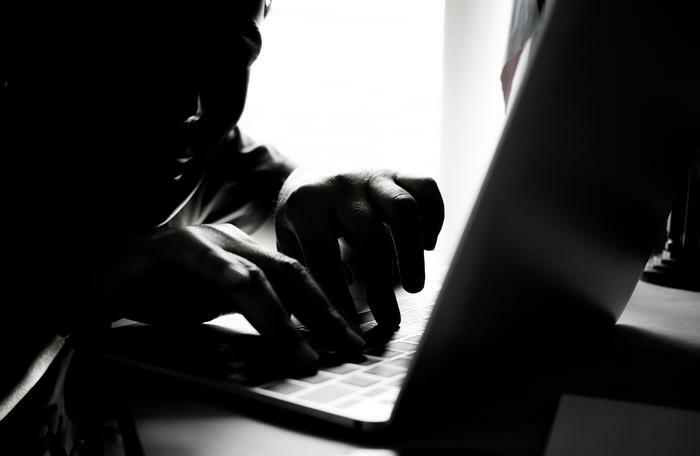 They are believed to have been responsible for 2014’s Sony hack and they’re also believed to be connected to the theft of US$81 million from the Central Bank of Bangladesh in 2016. According to Symantec, they may well have also been responsible for last year’s Wannacry ransomware outbreak. A timeline of recent Lazarus activity assembled by Kaspersky can be seen below. “We’re sure they’ll come back soon. In all, attacks like the ones conducted by Lazarus group show that a minor misconfiguration may result in a major security breach, which can potentially cost a targeted business hundreds of millions of dollars in loss. 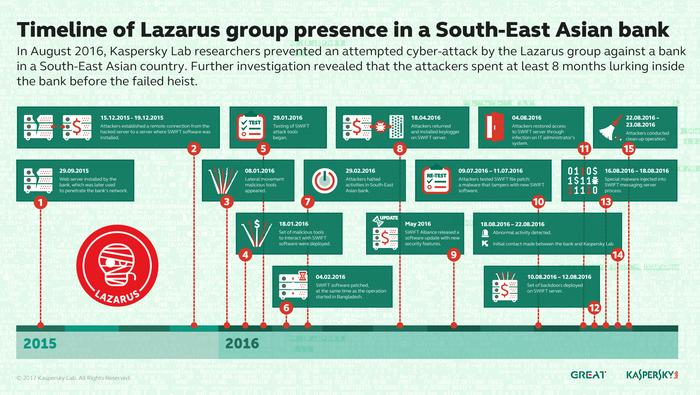 We hope that chief executives from banks, casinos and investment companies around the world will become wary of the name Lazarus,” said Vitaly Kamluk, Head of Global Research and Analysis Team APAC at Kaspersky Lab.